Gone are the days when braces were just for kids and teens because in today’s world it’s more common that you see orthodontics for all ages. 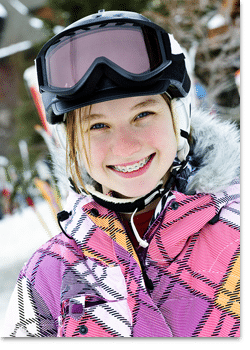 For parents, it’s not always easy to know if your child may need orthodontic treatment. While your child may not need orthodontics at a younger age, orthodontics for all ages allows for early intervention. Orthodontics for all ages means that orthodontic treatment is no longer just for teens. In fact, the American Association of Orthodontists states that one in five orthodontic patients is over the age of 21. Many adults are choosing to receive treatment because they understand the importance of maintaining their health, and they want to feel better about their appearance. Adults everywhere are taking advantage of the opportunity to receive orthodontic care, and now you can too. To learn more about the benefits of orthodontics for all ages, please contact our practice to schedule an appointment. We understand that you have a busy schedule, and we will work with you to make sure each office visit is as convenient as possible.